The Kundel ShoreLite modular trench box is ideal for both spot repairs and as a trench lining system. These ShoreLite kits can easily be transported in the back of a pickup truck. 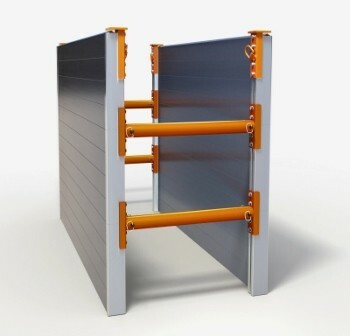 They consist of standard double wall 2′ tall aluminum shoring panels. Sizes start at a 2′ height and are available in lengths of 4′,6′,7′,8′,10′. 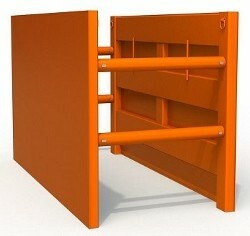 These two foot tall panels allow you to build a ShoreLite trench shield system up to 8′ tall and 10′ long. We also have 36″ single wall aluminum panels available in our ShoreLite Lite model. Yes, the name can be confusing. Just remember the ShoreLite is a two foot tall double wall system, and the ShoreLite Lite is a three foot tall single wall system. 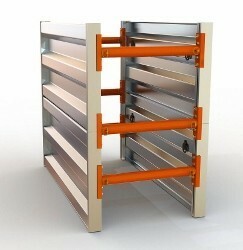 Visit our aluminum trench box page for more information on other models we offer.